Let’s face it, living in the concrete jungle of Metro Manila can sometimes leave you with a hankering for nature. It’s no surprise, then, that a lot of us hit the beach or the mountains every chance get. 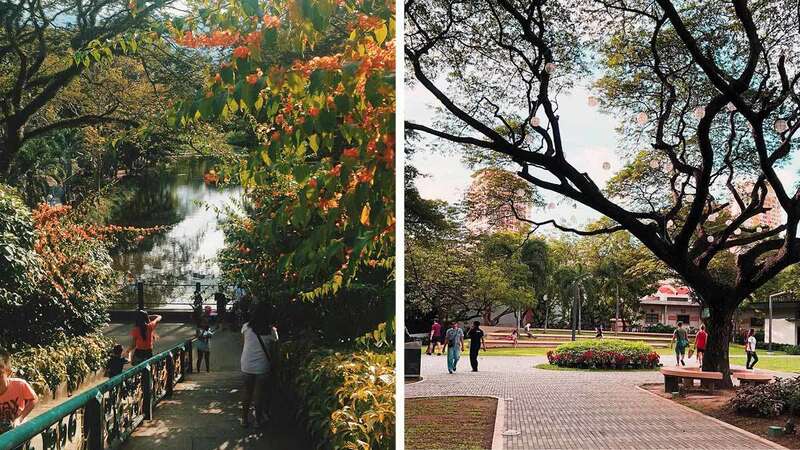 However, with this list of parks and gardens, city dwellers can now explore the most serene green spaces tucked away in their very own neighborhoods. First built in 1858 as a botanical garden, this newly renovated park is both a modern park with sleek fixtures and beautiful landscaping, as well as a rich time capsule of Philippine history. Located near Taft Avenue, it is easily accessible. It’s a great place to stroll through, but with its shaded nooks, you can also comfortably spend the day people-watching and enjoying the outdoors. Just across the street from Legaspi Active Park is the more densely-wooded Washington Sycip Park. With gorgeous sculptures peppered throughout the area, a calming stream, and a zen garden, this park is perfect for a romantic stroll or an effortless photoshoot in dappled light. These adjacent parks are tucked behind the residential buildings on the fringes of BGC, so if you want to avoid crowds or vehicles, this landscaped expanse is the place to go. Stretching for almost tw kilometers, the BGC Greenway is the longest linear running path in Metro Manila. Connecting to it, the Kasalikasan Garden is a tree-covered amphitheater. It’s a peaceful place to hang out with friends. And if you’re a dog-lover, you’re sure to meet some adorable furry friends at either of these parks. Surround yourself with other active people when you visit this BGC track. Although there are people jogging and groups doing yoga, this outdoor park doesn’t feel crowded. It is best to visit in the evening when temperatures are cooler. Its well-lit paths and welcoming community of athletes make for a safe exercise experience. Also known as Father Blanco’s Garden, this place bursting with old world charm. Its ornate fountains, cobbled walkways, and blooms of pink bougainvillea set against the centuries-old edifices give visitors a palpable sense of history.